For those of us who use Facebook daily, you’re sure to have come across a Zynga game at least once. Some of you probably even indulge in it. As a matter of fact, some of you probably even have a tab open to keep watch on your farm or town. According to GameSpot, Mark Pincus, CEO and founder of Zynga will draw a salary of $1 for 2013. That’s right; Pincus will only snag a Washington for the year. He has also chosen to make himself ineligible for Zynga’s bonus or equity programs. Last year, Mark Pincus was listed as one of Bloomberg’s Worst CEOs of 2012. Zynga also saw a number of departures, layoffs, and closures not to mention an over $2 million loss. 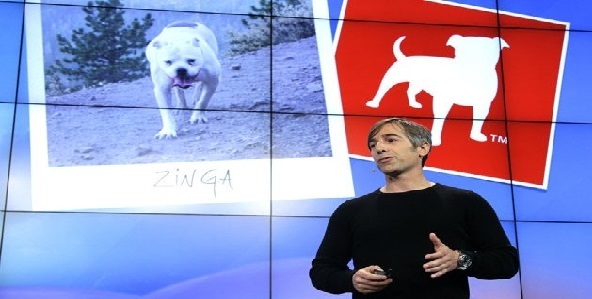 Is there a silver lining for the Zynga CEO? If you count having a net worth of almost $2 billion, then yes. There’s also a silver lining for many other executives in Zynga to snag more in bonuses this year. The move could be seen as a means to keep executives from bailing from the ship as was the case all last year. In 2011 Pincus took home a hefty $300,000 and maxed out at almost $1.7 million if his total compensation is included. It was also in 2011 that the company went public and the problems began. These include fewer Facebook users are putting in time and money on Zygna games and a big buyout of OMGPOP at $210 million. Slowly OMGPOP lost steam Draw Something became less popular. Six top execs at Zynga will reel in $425,000 or $500,000 for the year depending on their spot. They will also get a kind of performance bonus which will spike their haul. These include Steve Chiang (President of Games), Barry Cottle (Chief Revenue Officer), David Ko (Chief Operations Officer), and Cadir Lee (Executive VP and Chief Technology Officer) all getting $500,000 while Mark Vranesh (Chief Financial Officer and Chief Accounting Officer) and Reggie Davis (Executive VP, General Counsel and Secretary) will receive $425,000 for the year. The performance bonuses focus developing and growing Zynga’s network as well as financial performance. The strategy could work and change Zynga’s fortunes. Late Apple CEO and founder Steve Jobs also received a salary of $1. Of course Apple’s reach was beyond browser and social networking games.